Jean Adams leads the Evaluation of Population Interventions in Dietary Public Health programme within the Dietary Public Health theme at the Centre for Diet and Activity Research (CEDAR). Jean trained in medicine at Newcastle University before completing a PhD focusing on the role of biological ageing in socio-economic inequalities in health. She then won an MRC Health of the Population fellowship which supported her to complete an MSc in Health Psychology and a programme of research on the role of time perspective in socio-economic inequalities in health behaviours. Jean is currently involved in a range of work exploring issues around dietary public health and food policy – particularly focusing on food marketing, food retailing, cooking and how these factors interact with socio-economic position. 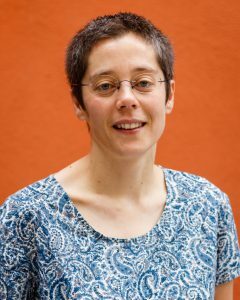 Jean currently holds an NIHR Career Development Fellowship which funded a PGCert in Science Communication and an ongoing programme of research on the effectiveness and acceptability of financial incentives for encouraging healthy behaviours. Jean Adams trained in medicine before completing a PhD on the role of biological ageing in socio-economic inequalities in health. She then won an MRC Health of the Population fellowship to work on the role of time perspective in socio-economic inequalities in health behaviours; followed by an NIHR Career Development Fellowship to work on financial incentives for health behaviour change. During these fellowship,s Jean was appointed Lecturer, then Senior Lecturer, in Public Health at Newcastle University. Jean moved to Cambridge University to join CEDAR in 2014. Jean is currently involved in a range of work exploring issues around dietary public health and food policy – particularly focusing on food marketing, food retailing, cooking and how these factors interact with socio-economic position. Determinants and outcomes of home food preparation. NIHR Doctoral Research Fellowship (Dr Susanna Mills). £279k. Lead supervisor. 2014-17. How do public health practitioners view and engage with research? A review of requests for research support, qualitative interview study and survey of public health practitioners. NIHR School of Public Health Research. £42k. Co-applicant. 2014-15. Effectiveness and cost-effectiveness of a physical activity loyalty card to maintain behaviour change: a cluster randomised controlled trial. NIHR Public Health Research Programme. £831k. Co-applicant. 2014-18. Inequitable access to preventive and therapeutic health interventions for older people and the consequences of intervention-generated inequalities (IGIs). NIHR School of Public Health Research. £1,134k. Co-applicant. 2013-17. Transforming the ‘foodscape’: development and feasibility testing of interventions to promote healthier take-away, pub or restaurant food. NIHR School of Public Health Research. £447k. Co-applicant. 2013-16. Phase 2 research to support the evaluation and implementation of adult cooking skills interventions in the UK: pilot RCT with process and economic evaluation components. Department of Health, Public Health Research Consortium. £356k. Co-applicant. 2013-15. Parental incentives and quasi-mandatory schemes for increasing uptake of immunisations in pre-school children. NIHR Health Technology Assessment Programme. £275k. Principal applicant. 2012-14. Financial incentives for improving uptake of health promoting behaviours. NIHR Career Development Fellowship. £445k. Personal award. 2011-15. Evaluation of the ‘Change4Life’ convenience store programme to promote sales and consumption of fruit and vegetables. NIHR Public Health Research Programme. £1,407k. Co-applicant. 2010-13. Evaluation of the School Sport Partnership Dance Mat Scheme: The “IDEAS” study (Impact of Dance Exercise Activity in Schools) North Tees Primary Care Trust. £91k. Co-applicant. 2010-12. The new TV diet – evaluating the effect of the UK 2007 OfCom restrictions on television food advertising to children. National Prevention Research Initiative. £92k. Principal applicant. 2009. MRC Special Training Fellowship in Health Services and Health of the Public Research. £158k. Personal award. 2005-09. Faculty of Public Health Medicine and BUPA Joint Research Fellowship. £43k. Personal award. 2001-04.